Hi everyone! 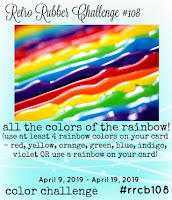 I am playing along with Retro Rubber Challenge this week. It is a rainbow theme! I just couldn't pass on the chance to create yet another rainbow card. 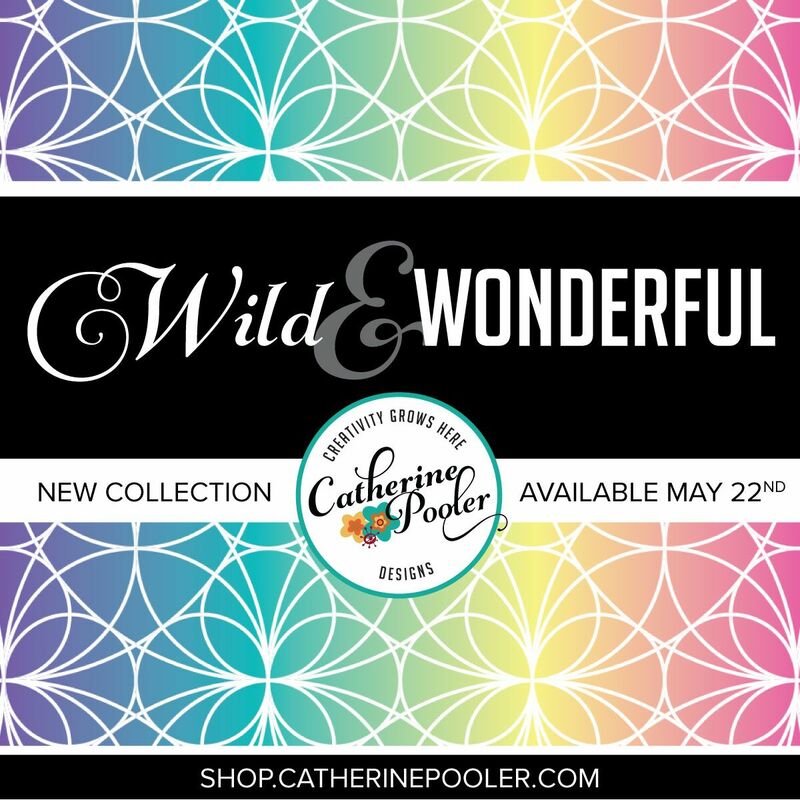 I pulled out my Wild Garden stamp set that was released back in 2017 in Catherine Pooler's Naturally Inspired Stamp of Approval collection. 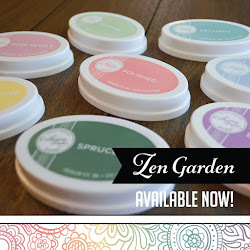 I stamped each color and then stamped off right beside. I love that variation this gives. Hi friends! 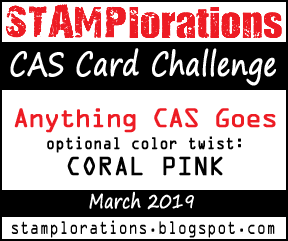 I am playing along with CAS Colours & Sketches Challenges. I love me a good sketch and I am in need of some more Christmas cards to add to my stash. This sketch was a good chance to get another Christmas card done. I used Concord & 9th's plaid background stamp to stamp the plaid on my card base. 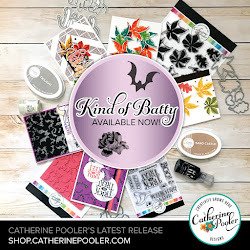 I then took the lovely Poinsettia stamp from Catherine Pooler's Tis the Season stamp set. 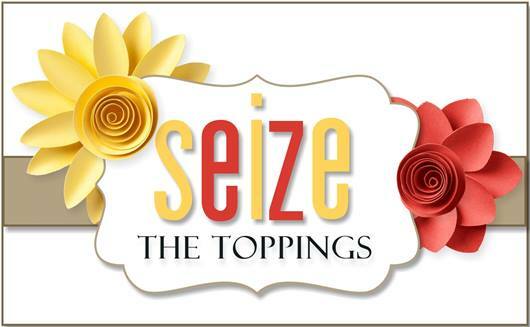 I stamped and embossed using Rockin' Red ink and Embossing Powder. 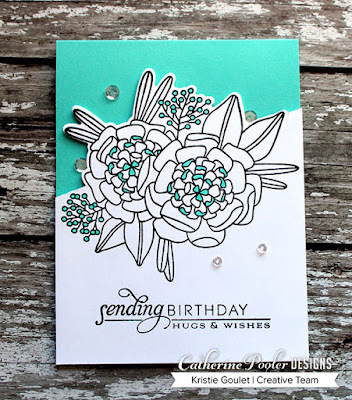 I love that Catherine's inks stay wet just long enough for you to sprinkle embossing powder on after stamping. 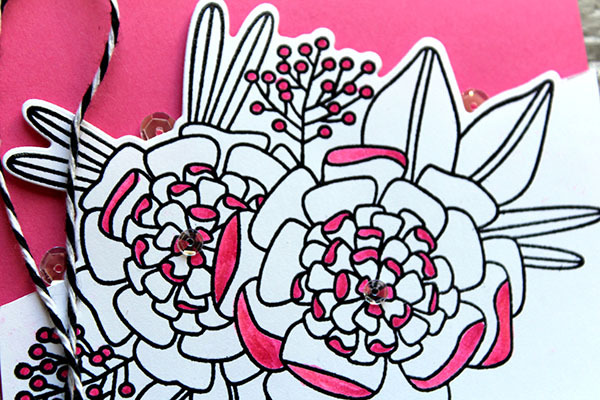 The added sparkle on the Poinsettia is just what this card needed for some pizzaz. Look at the sparkle I was able to capture in this close-up!!! So fun! 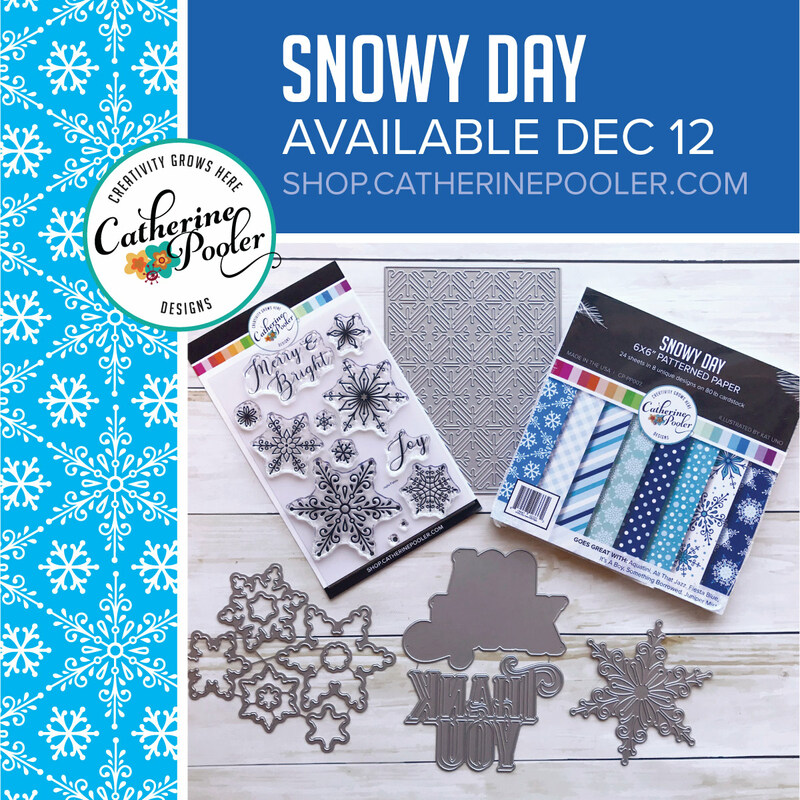 The sentiment I used is from Catherine's Holiday Mix stamp set. Hi everyone! 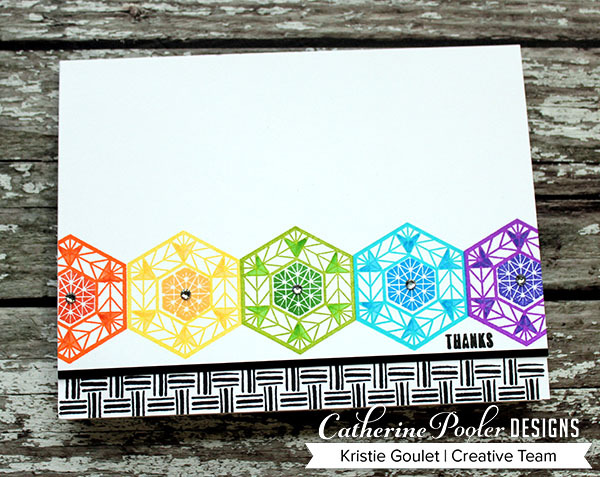 Sharing a fun geometric card today using the Hex Marks the Spot stamp set. I used my MISTI to stamp the Hexagons to get them straight. I added a bit of color to the big hexagons using my Zig Blender Pen and coordinating CP inks. 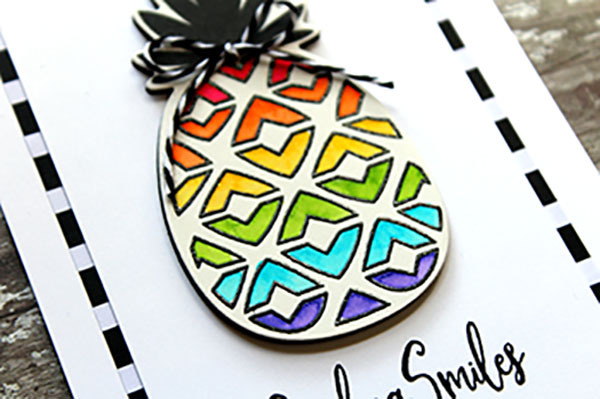 I stamped a border from the Good Vibes Border stamp set. 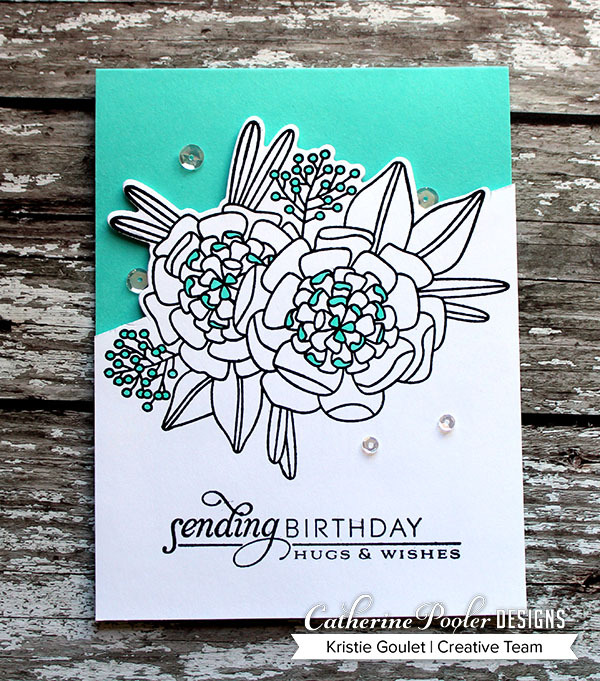 I added clear rhinestones to the center of the mini stamped hexagons for a bit of sparkle on this clean and simple card. The thanks sentiment comes in the Hex Marks the Spot set. Hi friends! Happy Saturday! I was inspired again by the weekend color challenge posted on the StampNation FB page. I am always in need of birthday cards so I went for a simple birthday card using all the colors. What a fun color combo, right?! I love the solid images in the Wild Garden stamp set and I love second generation stamping to create another color using the same ink color. 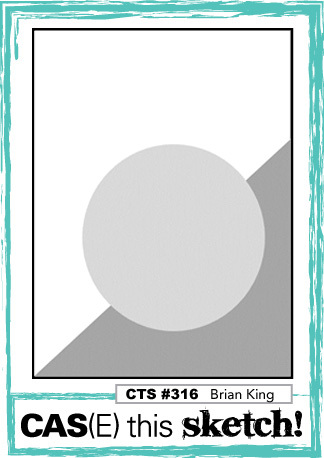 Here is another one using another awesome color combo! I am not sure which one I like better. You?! Hi friends! Happy Friday! I am playing along today with CAS(E) this Sketch! The minute I saw the sketch I knew I wanted to play along. It's a fun one! 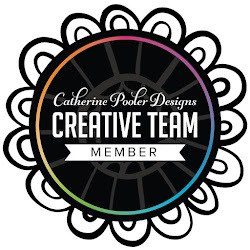 I die cut a circle out of watercolor card stock and swiped my mini inks by Catherine Pooler onto the die cut and then spritzed with water to get some blending. 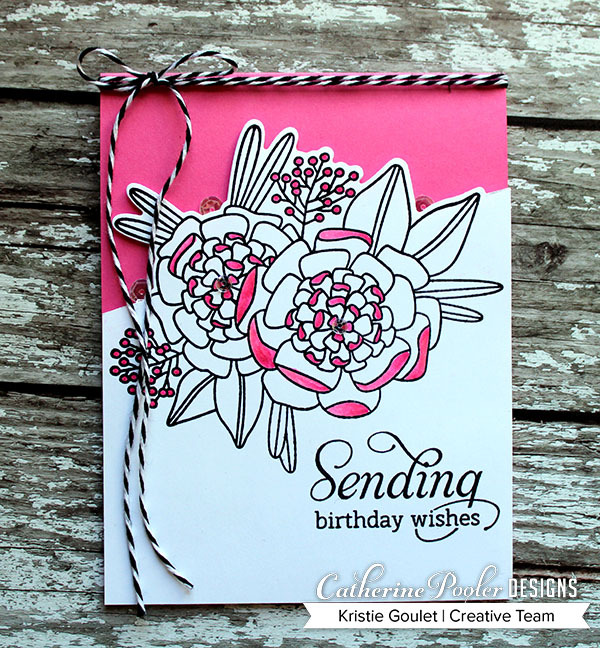 I then stamped the sentiment and some wild flower images using Midnight ink. I stamped the Canvas Grunge Background Stamp onto my card base using Midnight ink and trimmed a piece of white card stock with my angle to adhere over top. Are you inspired by this sketch?! I can't wait to see if you play along! Hi friends! I have a couple cards to share with you today using the gorgeous floral image in the set One in a Million Mom by Catherine Pooler. 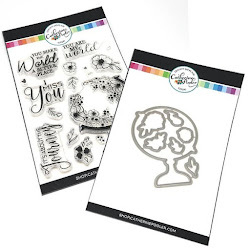 Even though this set has lots of Mother's Day sentiments you can totally use it for birthday, thinking of you or even sympathy cards. I always need more and more birthday cards and this sentiment is one of my favorites! I did some partial die cutting and only colored some of the blooms instead of coloring them all in. Another one in Aqua and changed up the sentiment. Hi friends! Happy Saturday! 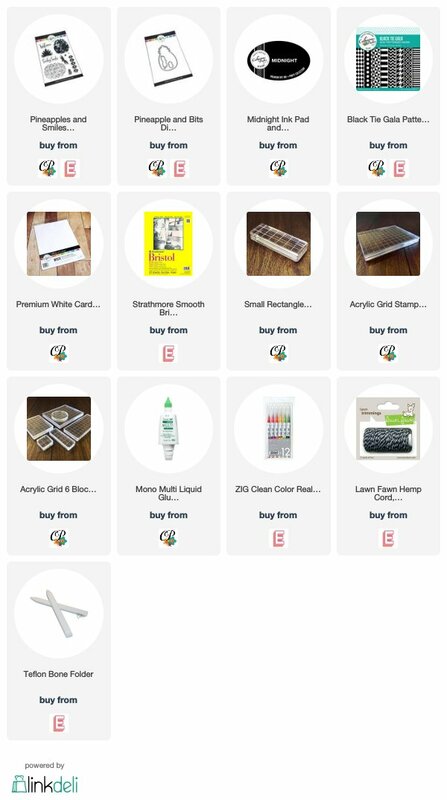 I was inspired yet again by the weekend color challenge posted on the StampNation FB page. I am always in need of birthday cards so I went for a simple birthday card using all the colors. What a fun color combo, right?! 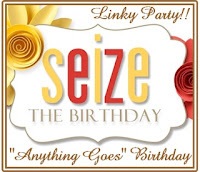 This one uses the Party collection of inks and my next one uses the Spa collection. 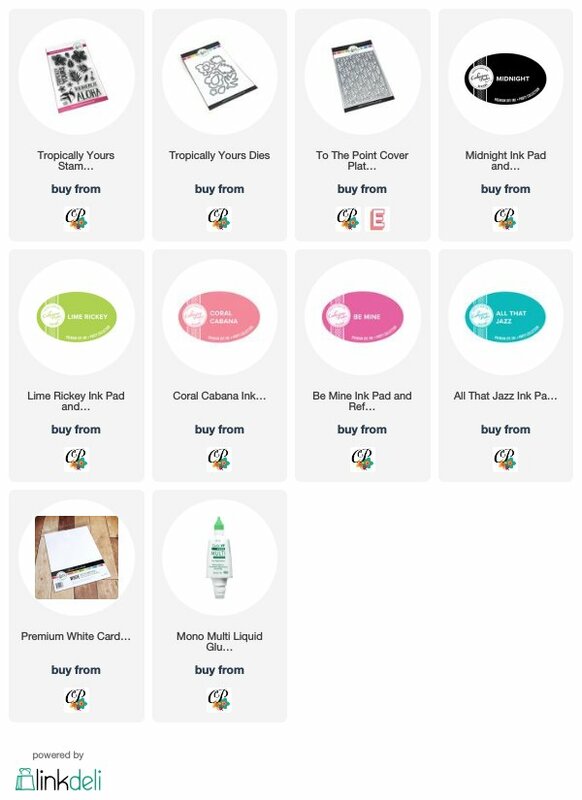 I had all my supplies out why not make more than one card at a time. 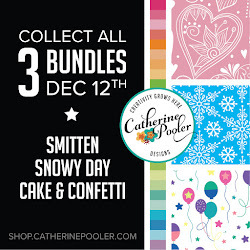 I love the different look you can achieve by just switching out the Party collection to the Spa collection! Hello everyone! 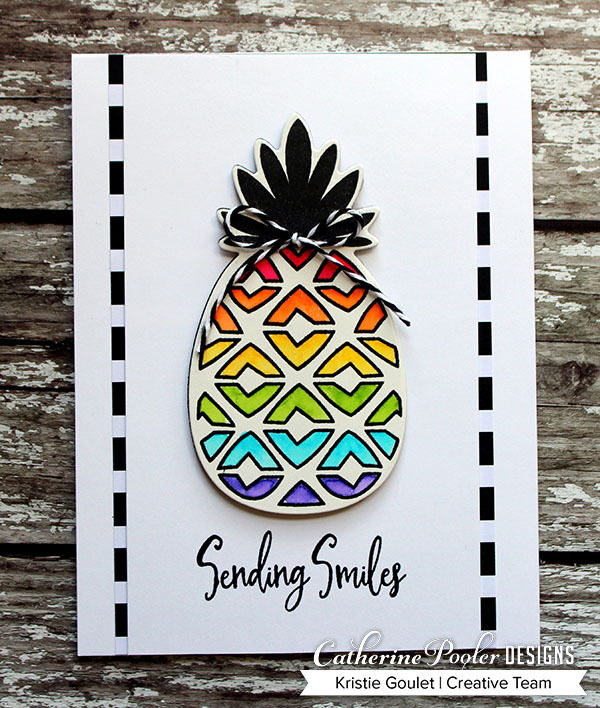 I have another card to share with you today using the new Pineapples & Smiles stamp set by Catherine Pooler. 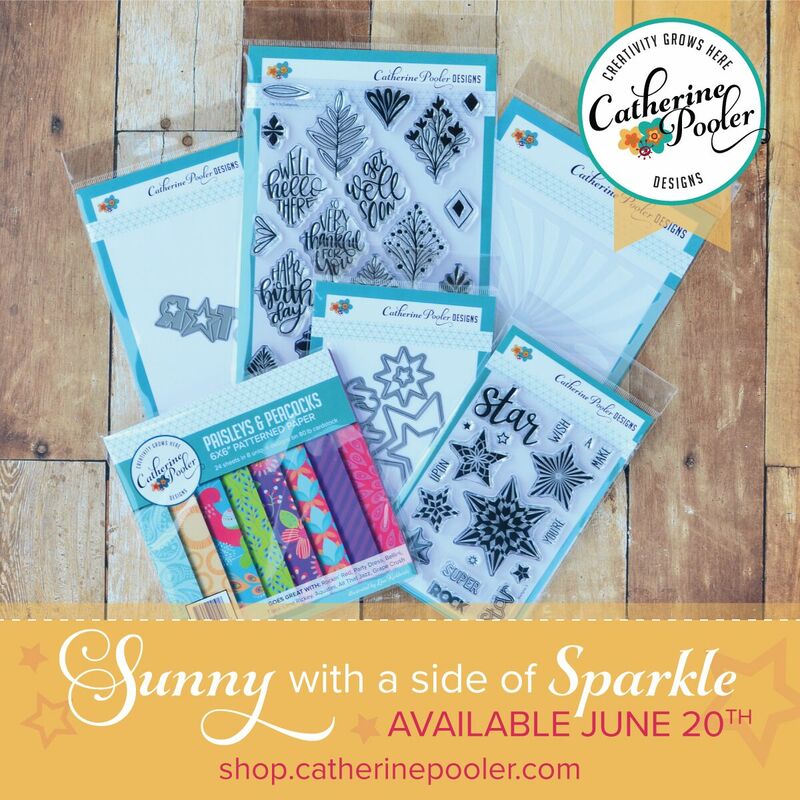 This time I stamped in black and used clear embossing powder to create some shine. I then used my Zig Clean Color Brush Markers to color. 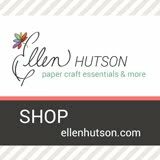 I used some Black Tie Gala patterned paper to create the border. 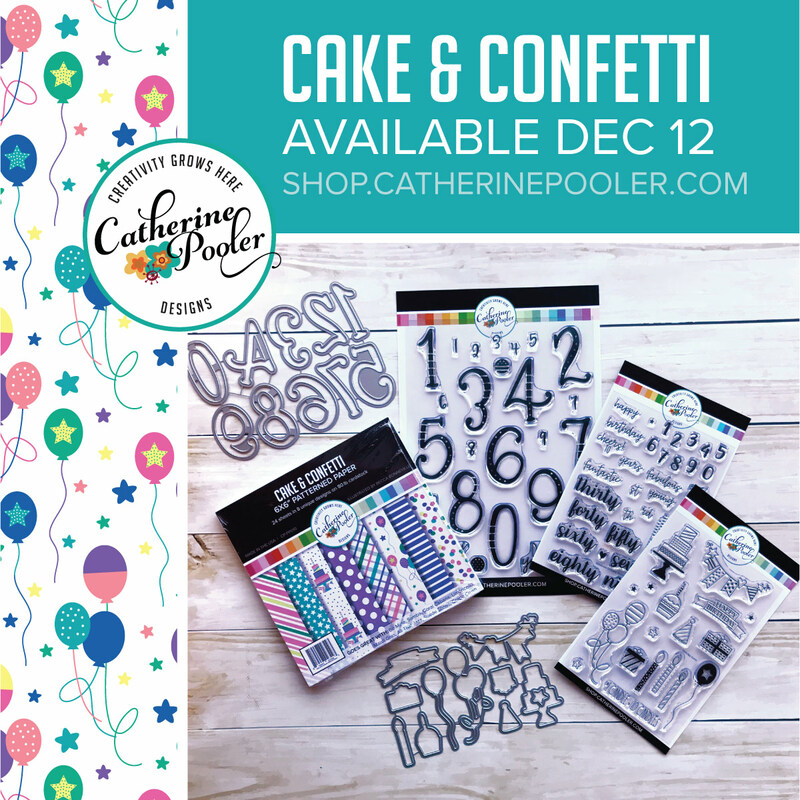 Love this paper pack! 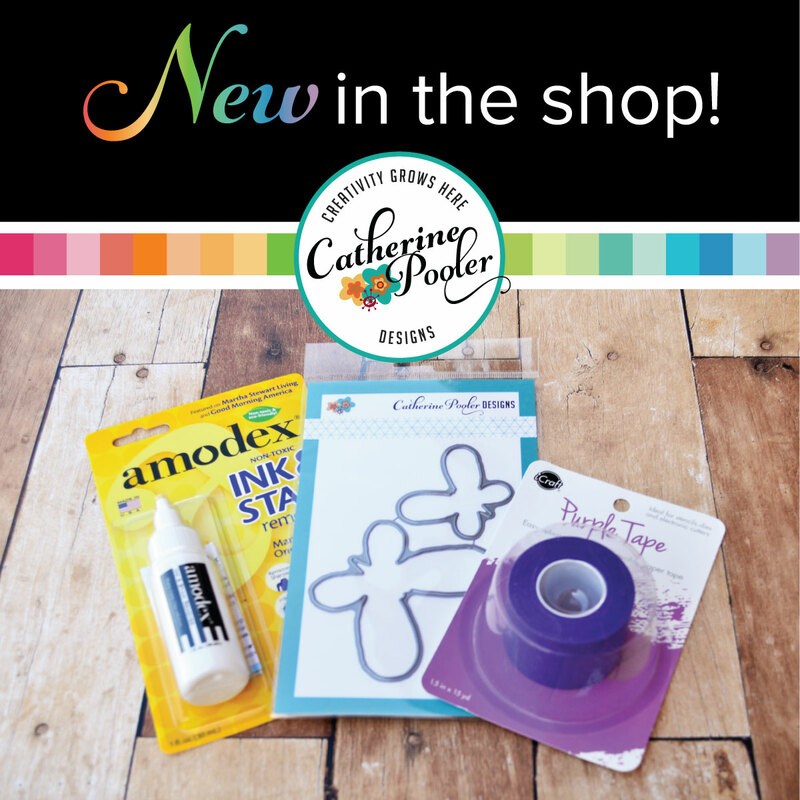 I am adding this over at Addicted to Stamps and More! 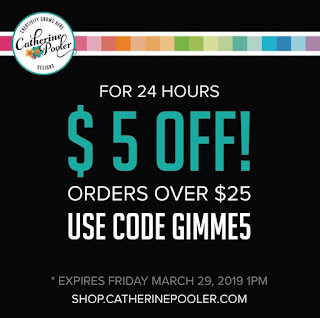 FLASH SALE NOW UNTIL FRIDAY MARCH 29, 2019 1PM!!! Hi friends! 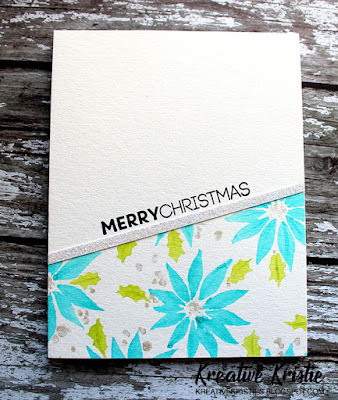 I have a couple Christmas cards to share with you all today that were inspired by the Stencil pARTy class over on StampNation. 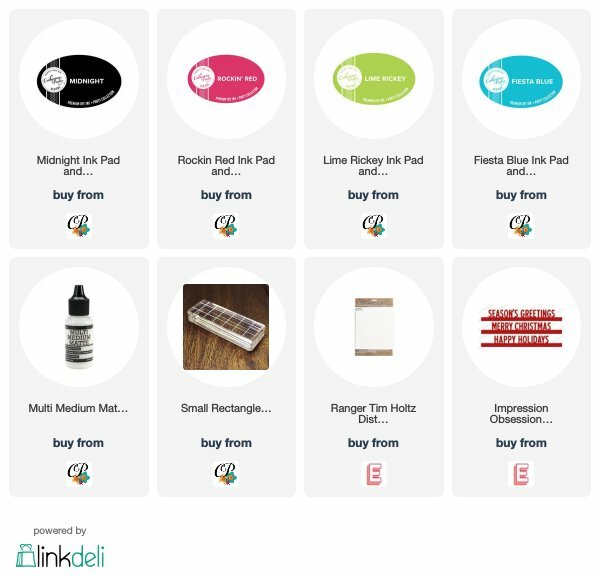 Ingrid shared a fun watercoloring with stencils technique. I thought this stencil by Tim Holtz was the perfect stencil for this technique! This technique allowed me to watercolor the poinsettias in one color and the leaves another color without having to do any masking. Another one using blue ink for the Poinsettias. I love how these turned out and I have 2 more Christmas cards to add to my stash! 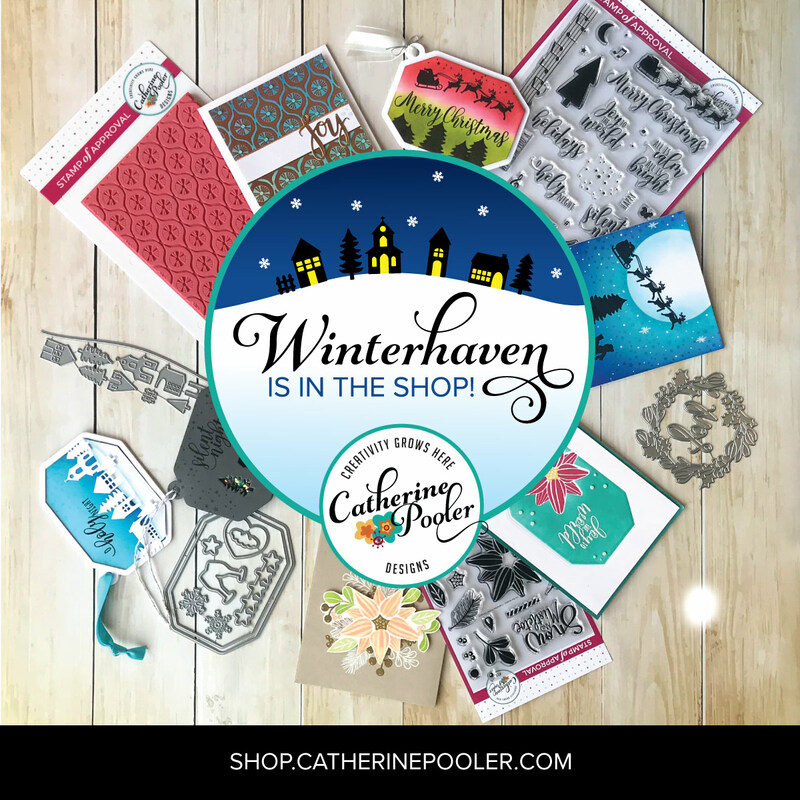 Adding one of these over at Addicted to Stamps and More: Holiday. Happy Saturday friends! Erika posted a color challenge over on the StampNation FB page yesterday and I was immediately inspired. 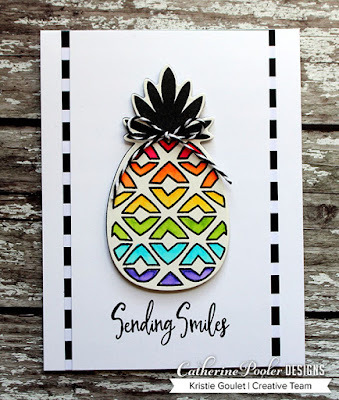 I created this card this morning using goodies from the Tropical Treasures release and the Tropically Yours Stamp of Approval Collection. Such a fun, bright color combo right?!!! 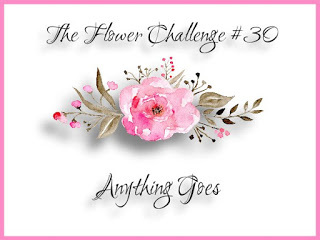 I will pop this over at The Flower Challenge. 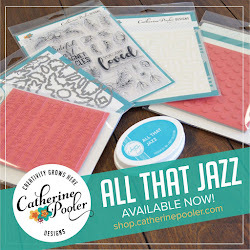 And over at Addicted to Stamps and More: Holiday. Hi friends! Happy Friday! 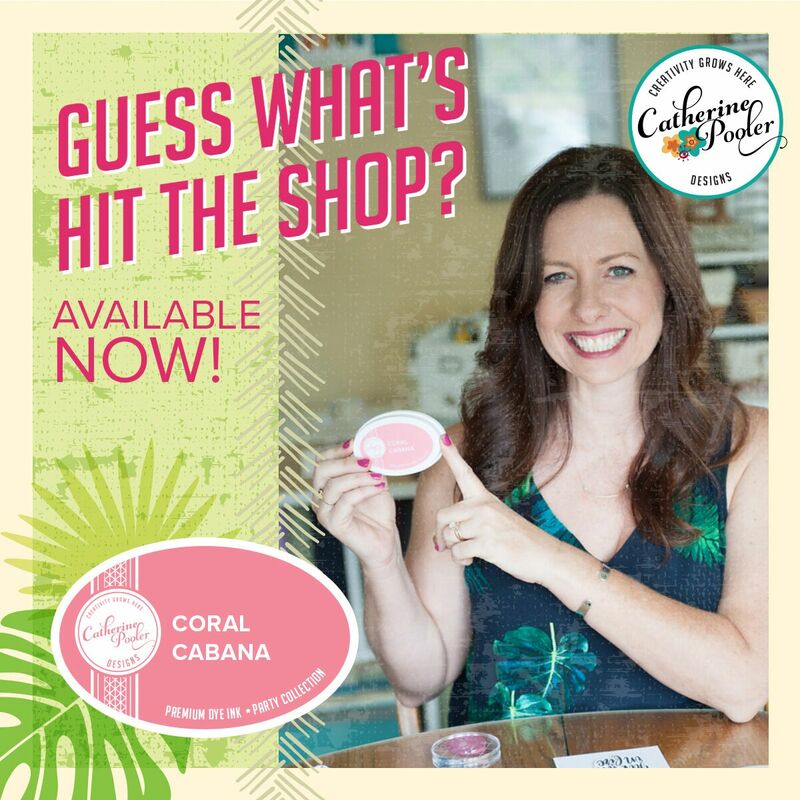 Have you hopped along the Instagram and blog hops for Catherine's new Tropical Treasures release? 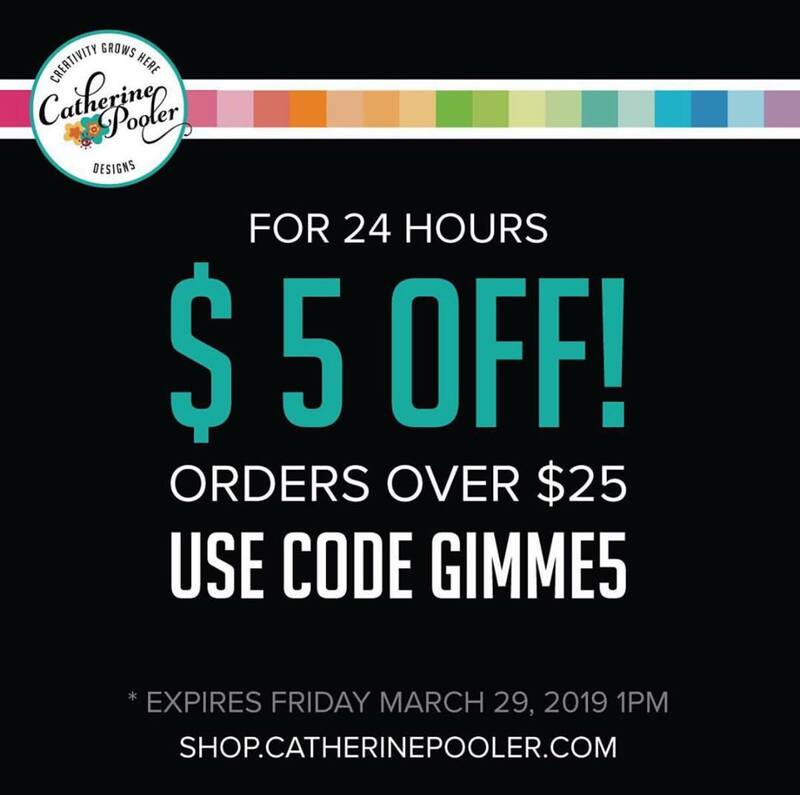 You can start the Instagram hop HERE! 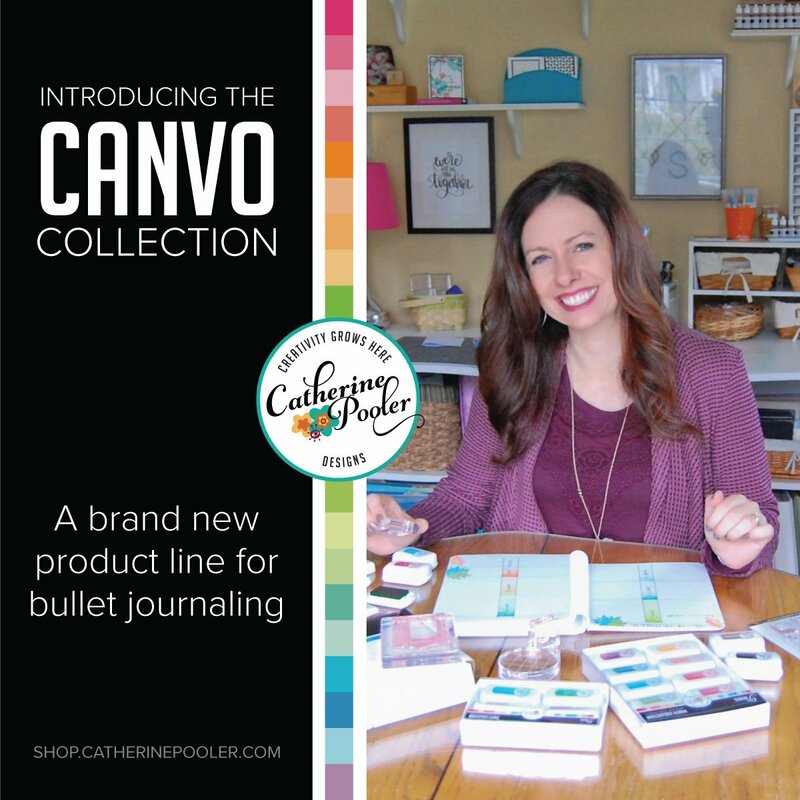 You can start the Blog hop HERE! There is also a video hop starting today, you can start that HERE! 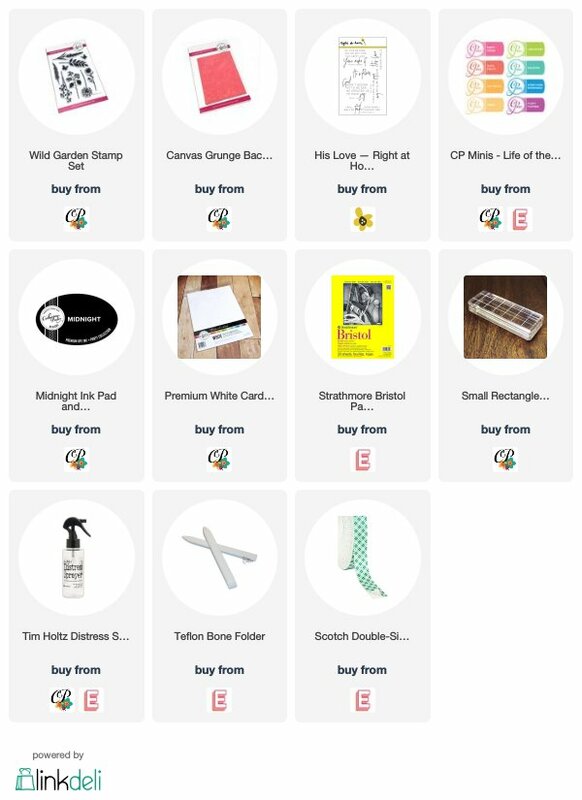 There are prizes being offered, just sayin'! 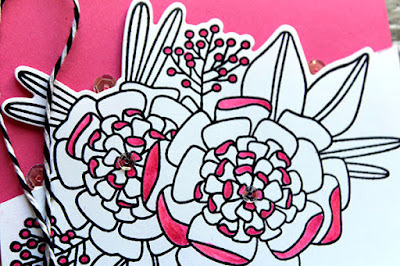 I have another card to share with you today using the stamp set from the Mother's Day Bundle! I started this card by creating my frame using one of the stitched rectangles from the Postage Stamp Dies. I then masked off the sides and top of a card base so that when I stamped the floral image onto my card base using Twilight ink it would not go outside my frame. I then stamped the sentiment and used direct to paper to create the colored mom die cut. I adhered the frame with foam tape for some dimension and added the sequins and twine. I am planning on making more of these and just switching out the sentiment to a birthday sentiment or a sympathy setiment. I am going to add this over at STAMPlorations CAS card challenge: Anything Goes. I am also adding it over at The Flower Challenge. 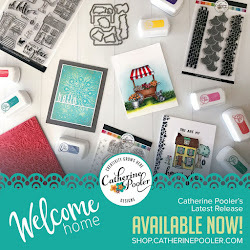 And lastly over at Addicted to Stamps and More: Holiday.